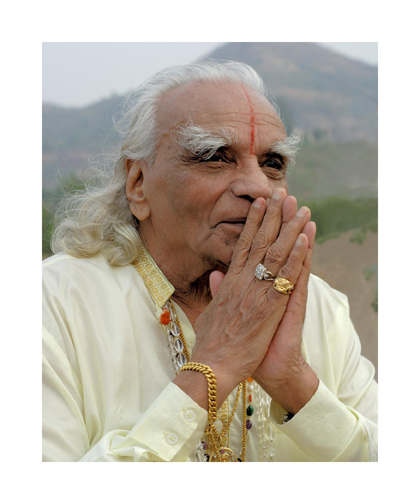 Yoga Guru BKS Iyengar has died in the western city of Pune, aged 96. Mr Iyengar was credited with his own brand of yoga, and taught author Aldous Huxley and violinist Yehudi Menuhin, among other celebrities. Iyengar yoga is now taught in more than 70 countries and the guru's books have been translated into 13 languages. One of yoga's finest teachers, Mr Iyengar practised what he called an "art and science" for more than eight decades and ran one of India's top yoga schools in Pune. He continued to practice - "practice is my feast", he once told a correspondent - in his old age and could still do the sirsasana - or the headstand - for half an hour until last year. He used around 50 props, including ropes and mats, to align and stretch the body. "When I stretch, I stretch in such a way that my awareness moves, and a gate of awareness finally opens," Mr Iyengar told the Mint Newspaper last year. "When I still find some parts of my body that I have not found before, I tell myself, yes I am progressing scientifically... I don't stretch my body as if it is an object. I do yoga from the self towards the body, not the other way around." When he first met Yehudi Menuhin, the violinist complained that he never had time to relax and never got a good night's sleep. "Within one minute Iyengar had him snoring happily away. But Guruji did warn me: 'Relaxation doesn't mean yoga is a soft option. It's a disciplined subject - a casual attempt only gains casual results'," Mark Tully, former BBC correspondent in India, wrote after meeting Mr Iyengar in 2001.